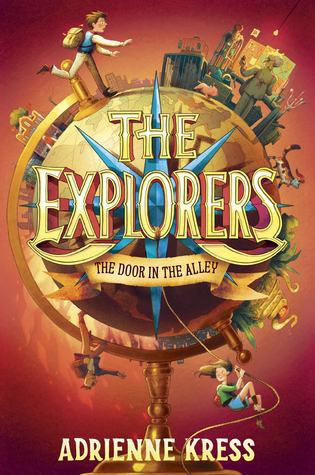 Thank you to Random House/Delacorte Books for Young Readers for providing me with a review copy of The Door in the Alley for this blog tour. 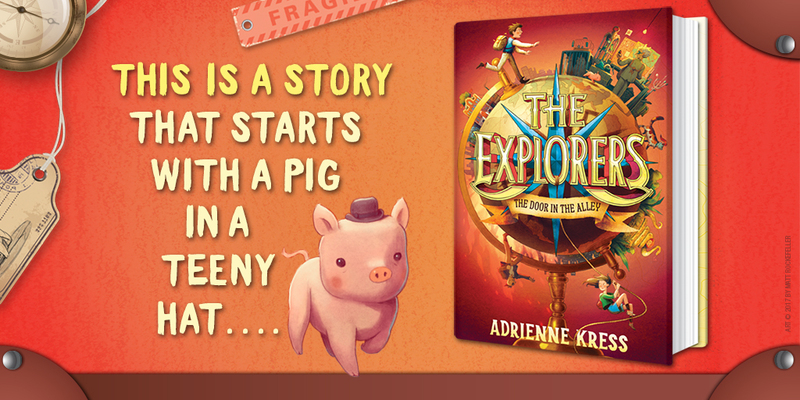 Featuring a mysterious society, a secretive past, and a pig in a teeny hat, The Explorers: The Door in the Alley is the first book in a new series for fans of The Name of This Book Is Secret and The Mysterious Benedict Society. Knock once if you can find it—but only members are allowed inside. Fantasy can sometimes be a hard sell to readers because there is so much that background knowledge can't help you with when you're entering a world you've never encountered before. So fantasy with a touch of humor can often make the difficulty of interpreting a new world much more digestible... the spoonful of sugar to help the medicine go down, if you will. After I finished reading the ARC of The Door in the Alley, I offered it up to my 6th graders by raffling it off, and I had quite a few students clamoring to read it. The student that did win the copy informed me she enjoyed it greatly and passed it on to a friend. 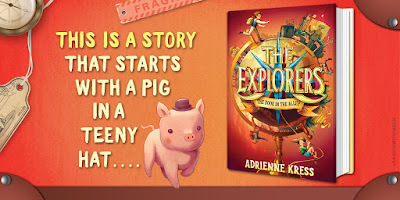 I think this will be the start of a fun and entertaining series for middle grade readers!